No matter where you live, heating your home during the winter months can take a toll on any budget. The average American household spends roughly $2,100 on utility bills in any given year, much of it on temperature control. These tips will allow you to heat your home more efficiently. Plugging up gaps that allow heat to escape is the easiest way to heat your home more efficiently. Start out by having an inspector perform a thermal imaging scan on your property to discover where cold air is getting in. Use the results to guide your efforts as you make all your doors and windows airtight. You don’t need to rip out drywall to improve the insulation in your home. You can start by adding insulation and radiant barriers in attics and crawl spaces to heat your home more efficiently. Applying expanding foam insulation to window frames is a great way to reduce heat loss. The easiest way to heat a home without cranking out extra energy is taking advantage of sunlight. Keeping south-facing windows open during the day when the sun shines will take pressure off of your furnace. Skylights and white paint on the walls will magnify the solar heating effect. On cold nights, use thermal drapes to cover up all the windows. This will help heat your home more efficiently. More often than not, an efficient home boasts a lot of material that retains heat. Rugs on hard floors will help keep them warm. If the sun is shining in, natural hardwood and laminate flooring will absorb plenty of heat, too. Thermal drapes are an easy and affordable addition, and keeping them closed at night helps retain heat. There’s no better way to heat your home more efficiently than installing a small wood stove. 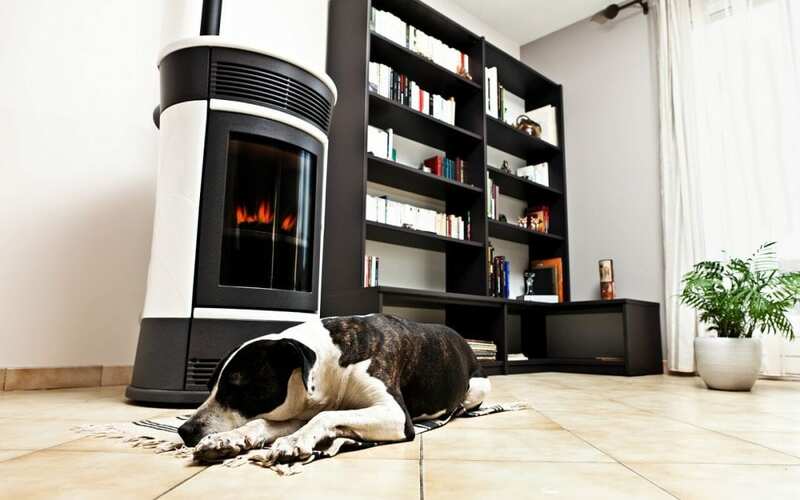 A pellet stove, in particular, is the most economical heating option. A higher percentage of pellets are converted to fuel for your home than wood, so they are the best way to supplement your HVAC and heat your home more efficiently. With a little effort and investment, you can heat your home more efficiently for years to come. As with any advice, it’s important to choose the tips that work best for your unique situation. Precision Home Inspectors provides inspections with thermal imaging to Hampton Roads and the surrounding areas. Contact us to book an inspection.